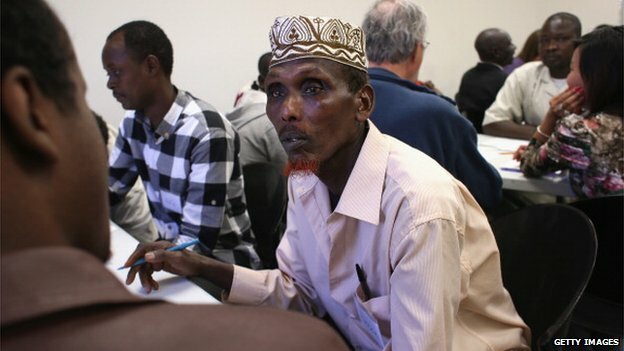 A bank which handles money transfers between US-based Somalis and their families in east Africa is to close its service over concerns the funds are being channelled to militants. Merchants Bank of California handles up to 80% of such transfers from the US, worth about $200m annually. But it says it will no longer be able to continue due to new money-laundering regulations. A US congressman described the decision as "catastrophic". 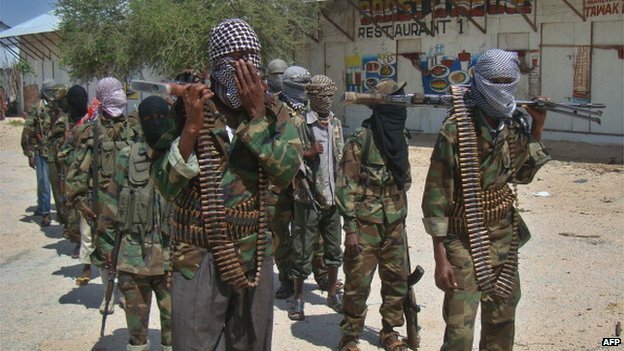 Regulators are concerned that some of the money transfers may be finding their way into the hands of Islamists tied to the al-Shabab militia. The Office of the Comptroller of the Currency (OCC), a federal regulator, told the Merchants Bank of California last year that it found its anti-money laundering procedures inadequate. In the US, bank directors are responsible for ensuring all the funds they handle are used for legitimate purposes. The OCC ordered the Merchants Bank to determine more exactly the destination of the funds it was wiring. would have to close their money wiring service, US media reported. Abdullahi Ismail, a Somali-born US citizen who lives in California, told the BBC that the local Somali community was baffled by the decision. "Nobody knows what to do at this point but everybody's just shocked by that news," he said. "I really don't know if anybody sends money to the terrorists or launders money. Most Somalis send the remittances to their families, who are not doing anything wrong in Somalia."